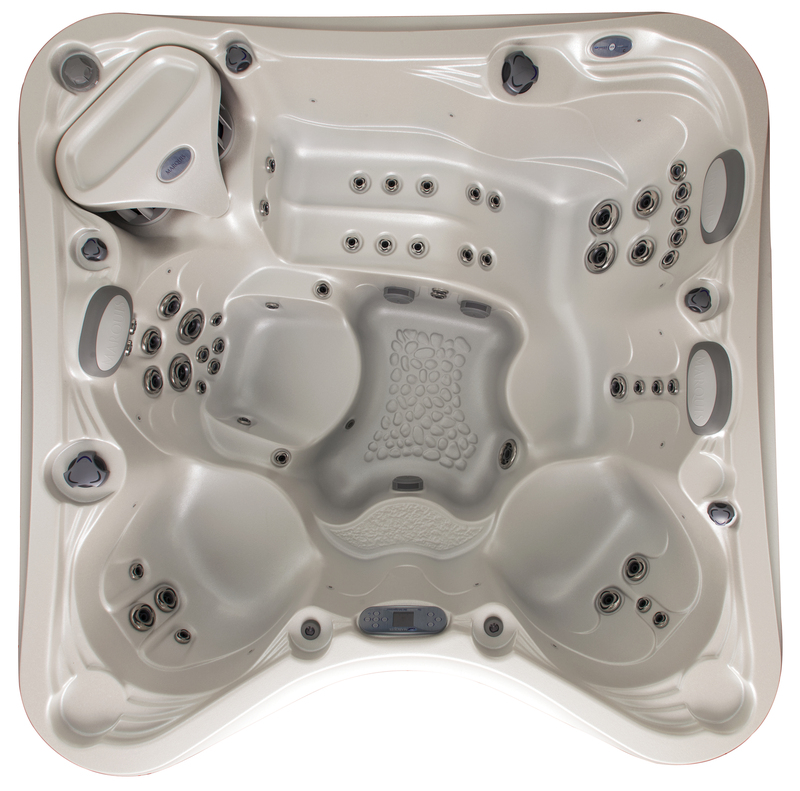 Features: SpaTouch2 Touch Screen Topside Control, Bluetooth Audio System (wireless audio streaming, twin speakers and Subwoofer), MicroSilk (skin oxygenation system), Spa Frog Inline Mineral and Sanitization System, CD Ozone, Smart Clean and Constant Clean, 2 Pop Up Lamiflo Water Features, Constellation LED Interior and Exterior Lighting, Liquid Aroma Infusions Dispenser, WIFI Transceiver with 1 year free subscription, Environments DuraWood Step I and 48" Storage Bench, Two Plush Towels, SpaZazz Scents, and Luther Loon. 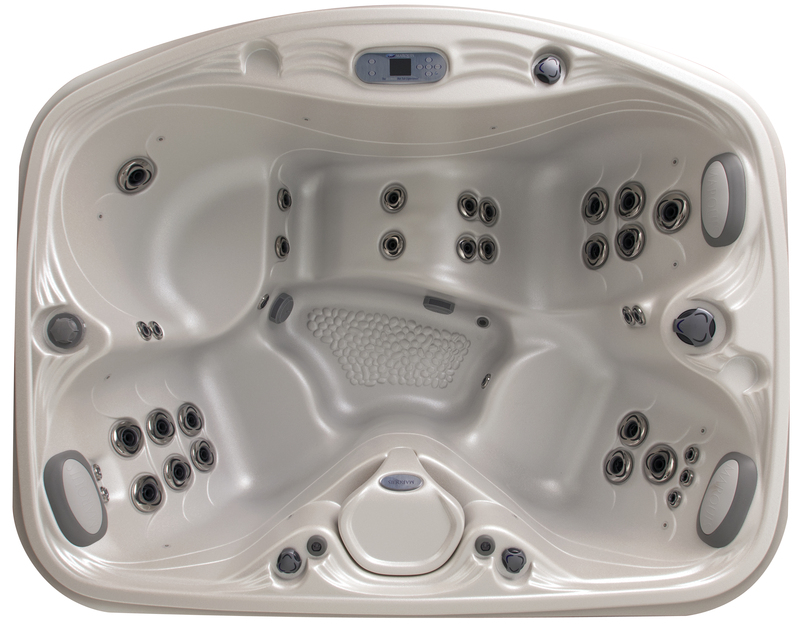 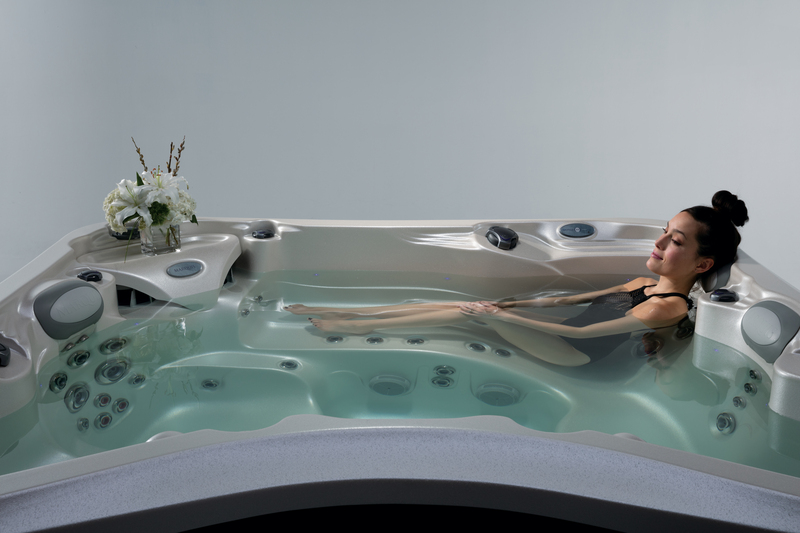 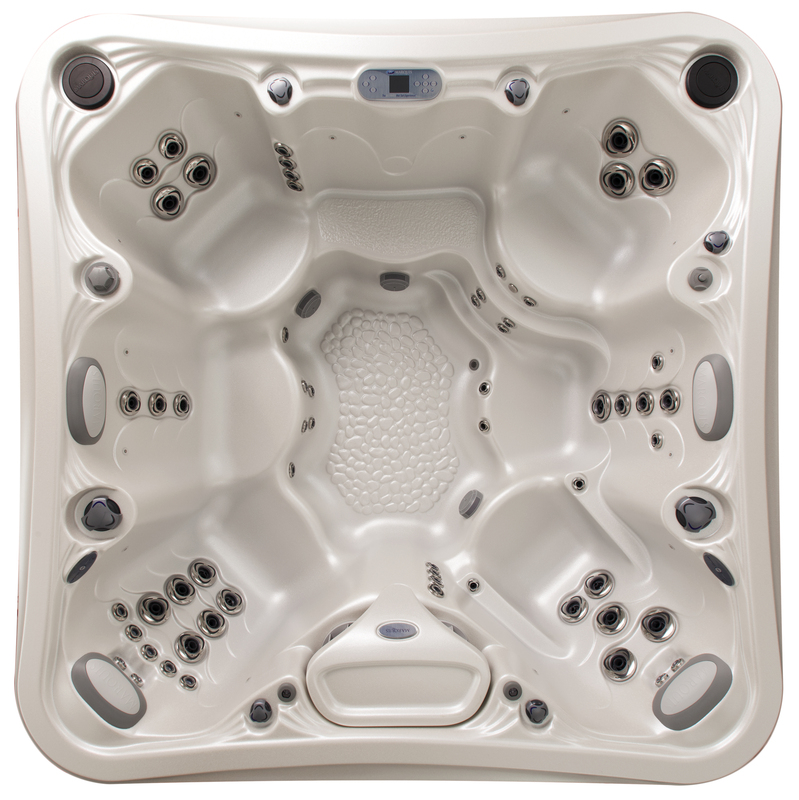 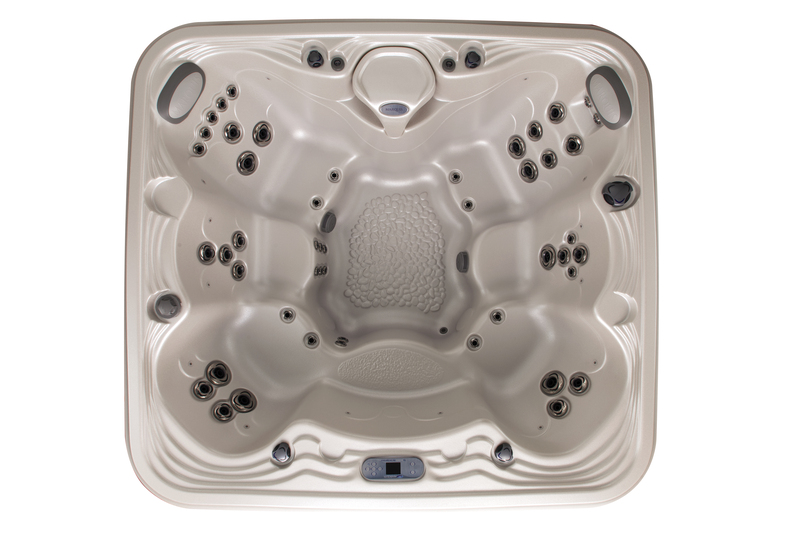 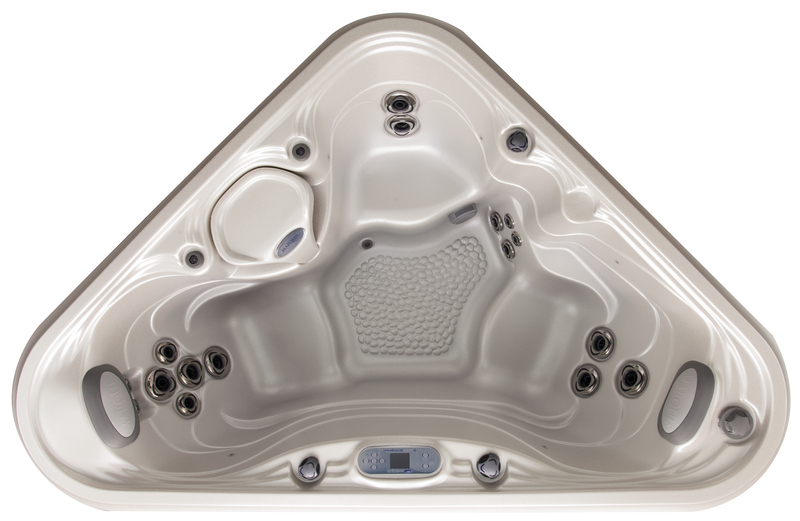 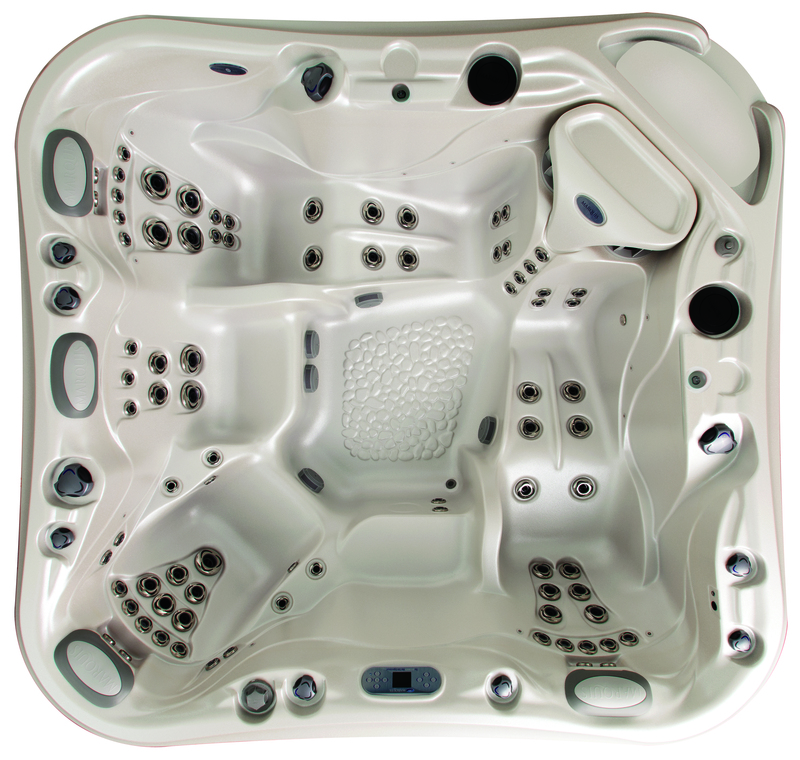 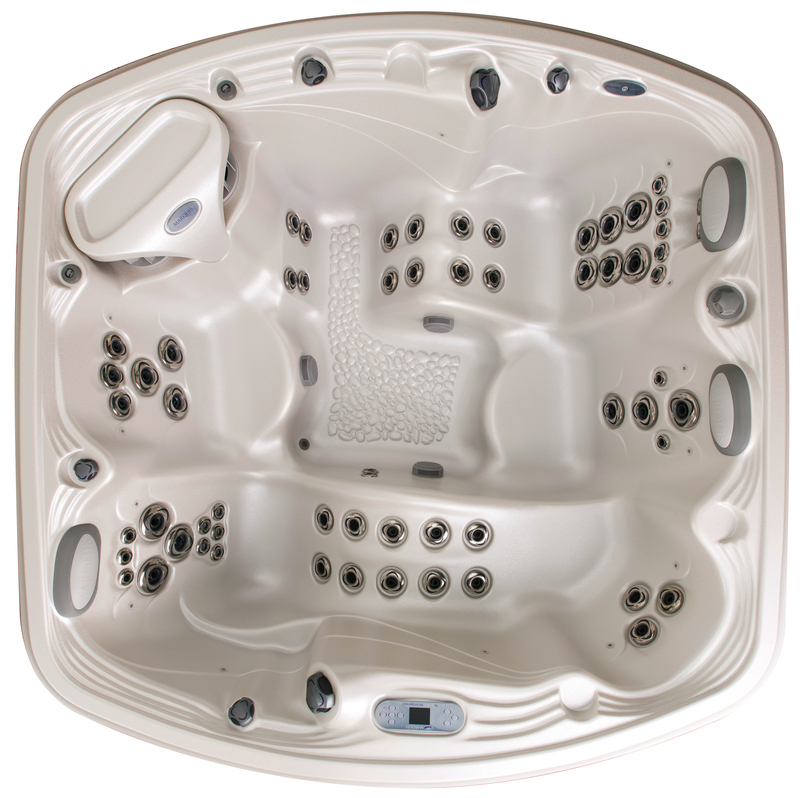 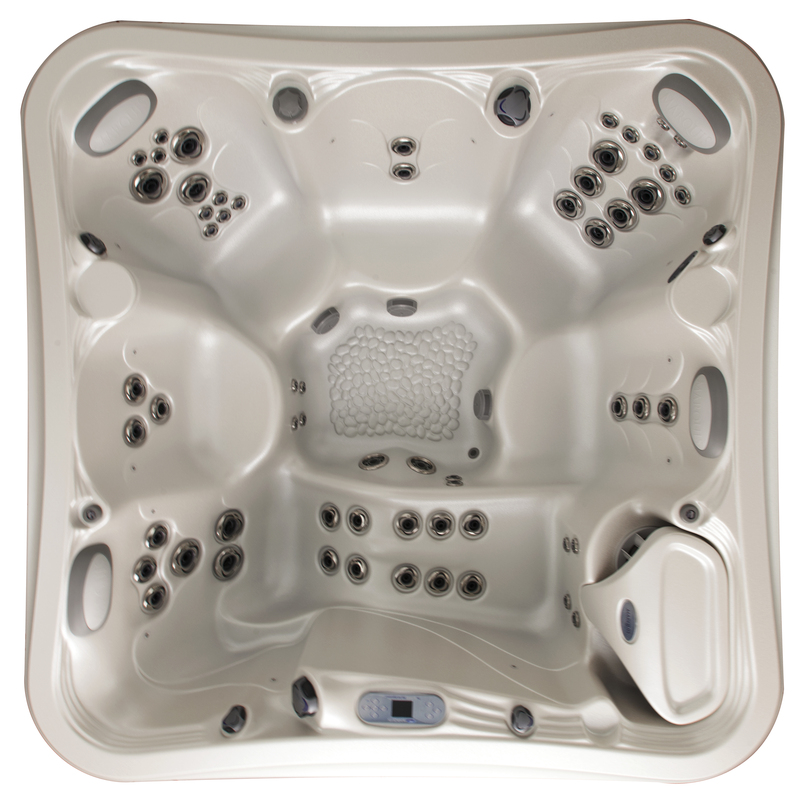 Features: Revolution Button Control with LCD Screen Navigation, Spa Frog Inline Mineral and Sanitization System, CD Ozone, Smart Clean and Constant Clean, 2 Pop Up Lamiflo Water Features, Constellation LED Interior and Exterior Lighting. 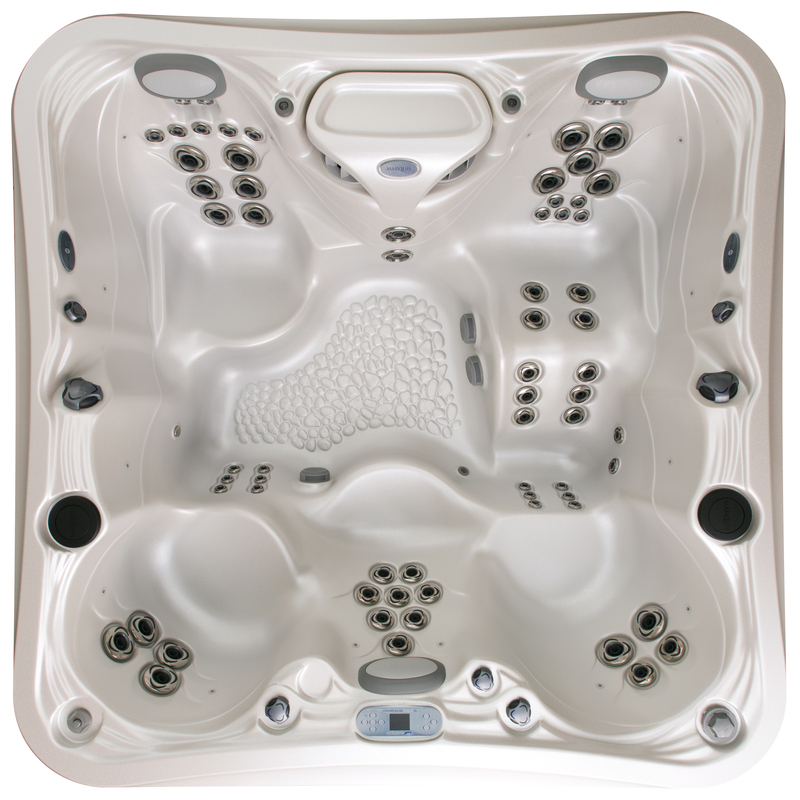 Features: 120V Plug and Play GFCI Cord, SpaTouch2 Touch Screen Topside Control, Spa Frog Inline Mineral and Sanitization System, CD Ozone, Smart Clean and Constant Clean, 2 Pop Up Lamiflo Water Features, Constellation LED Interior and Exterior Lighting. 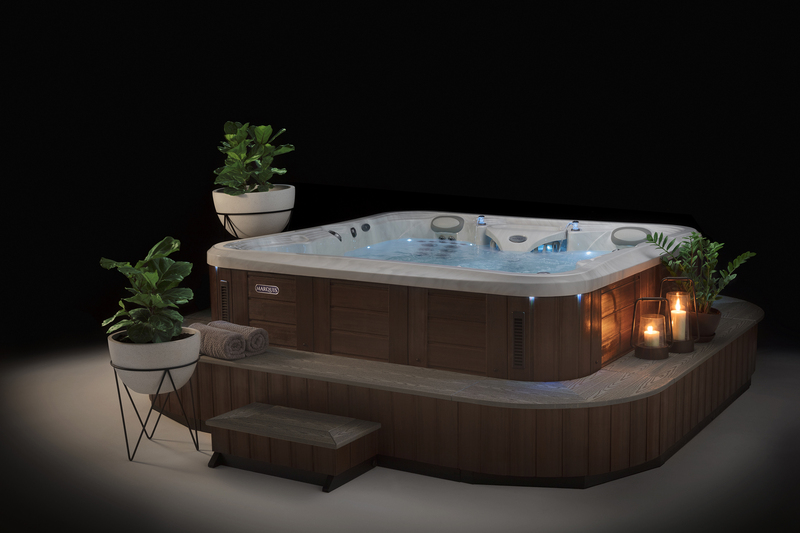 Features: SpaTouch2 Touch Screen Topside Control, Spa Frog Inline Mineral and Sanitization System, CD Ozone, Smart Clean and Constant Clean, 2 Pop Up Lamiflo Water Features, Constellation LED Interior and Exterior Lighting. 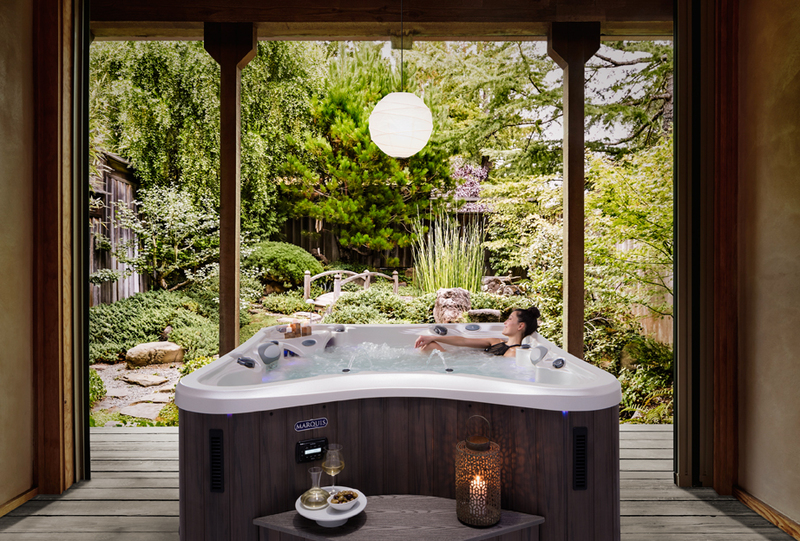 Features: SpaTouch2 Touch Screen Topside Control, Spa Frog Inline Mineral and Sanitization System, CD Ozone, Smart Clean and Constant Clean, 2 Pop Up Lamiflo Water Features, Constellation LED Interior and Exterior Lighting and Ice Bucket. 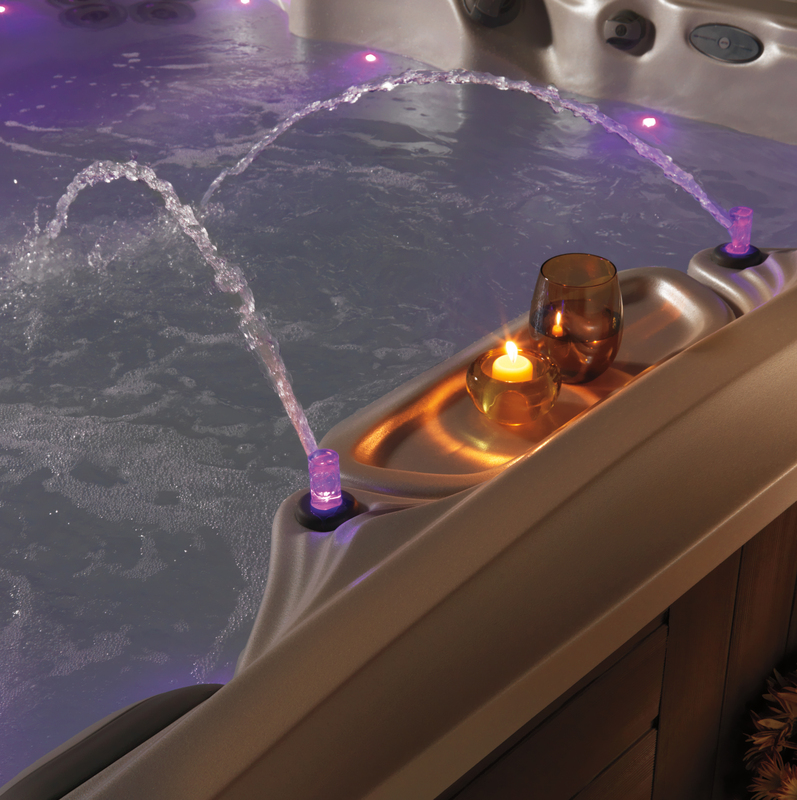 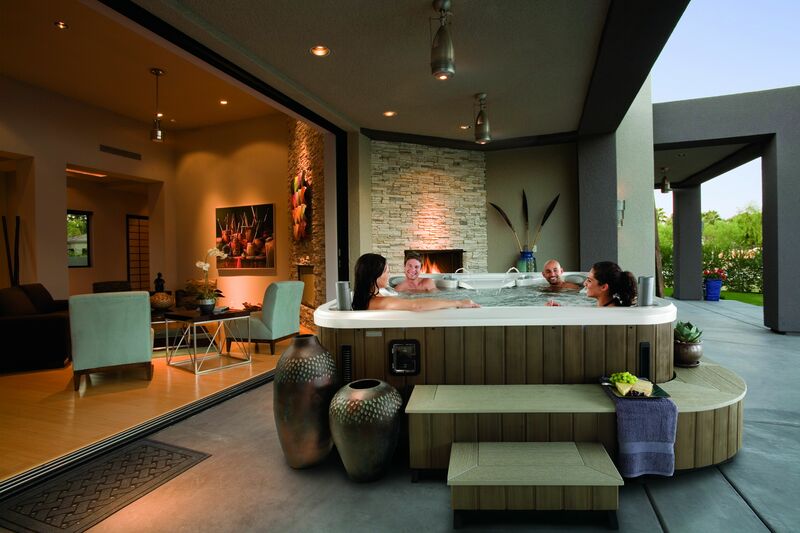 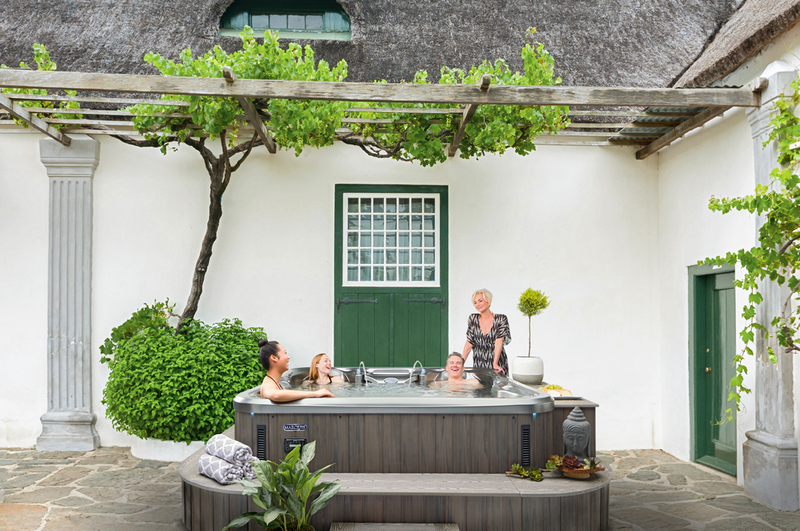 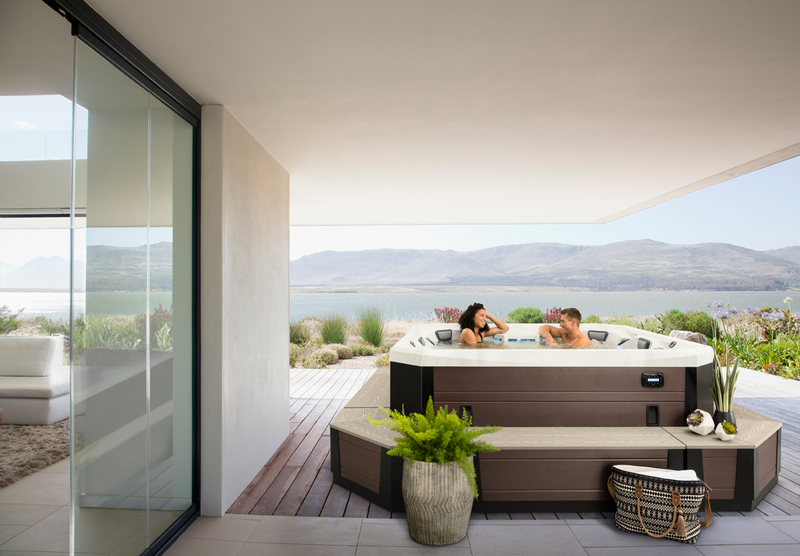 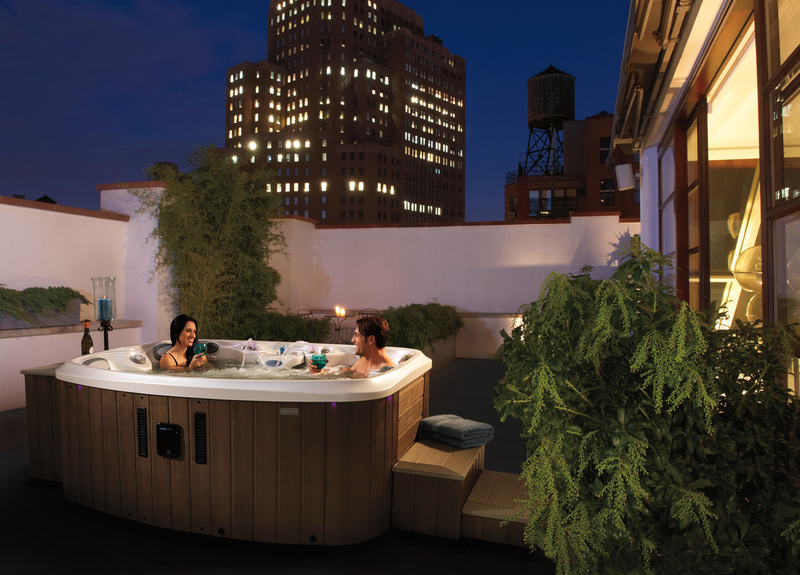 Features: Topside Control, Spa Frog Inline Mineral and Sanitization System, CD Ozone, Smart Clean and Constant Clean, 2 Pop Up Lamiflo Water Features, Constellation LED Interior and Exterior Lighting.